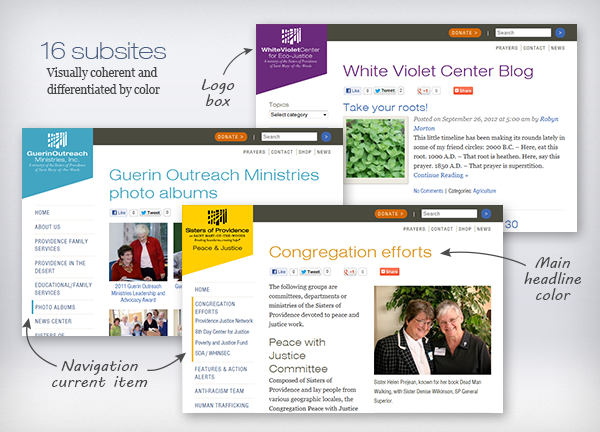 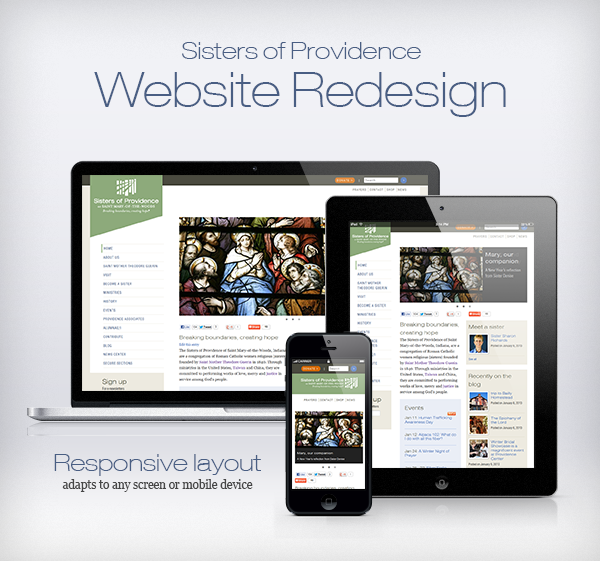 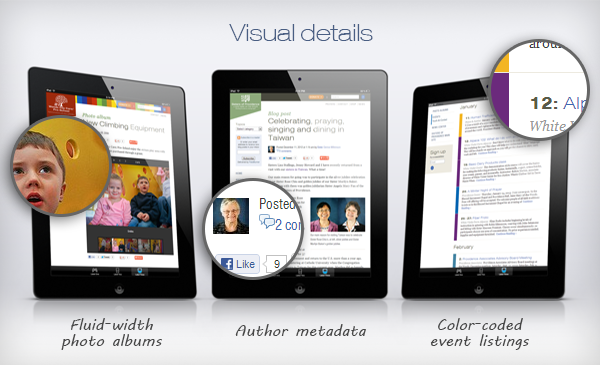 When I took on the responsibilities of web manager for the Sisters of Providence, I ended up completely overhauling and re-doing the website from scratch. 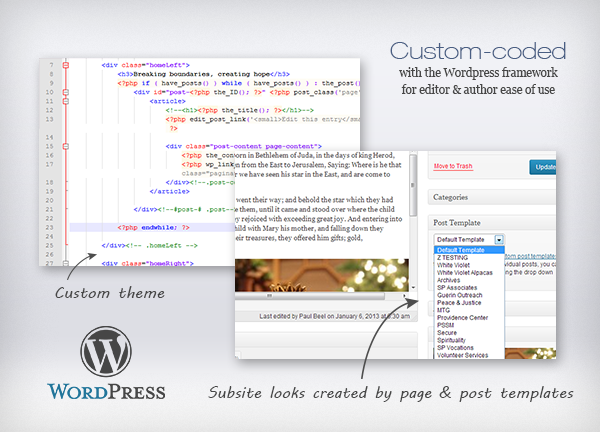 It needed to be cleaner, easier to update and more usable, and the ease of WordPress combined with my custom theme and other custom code made this possible. 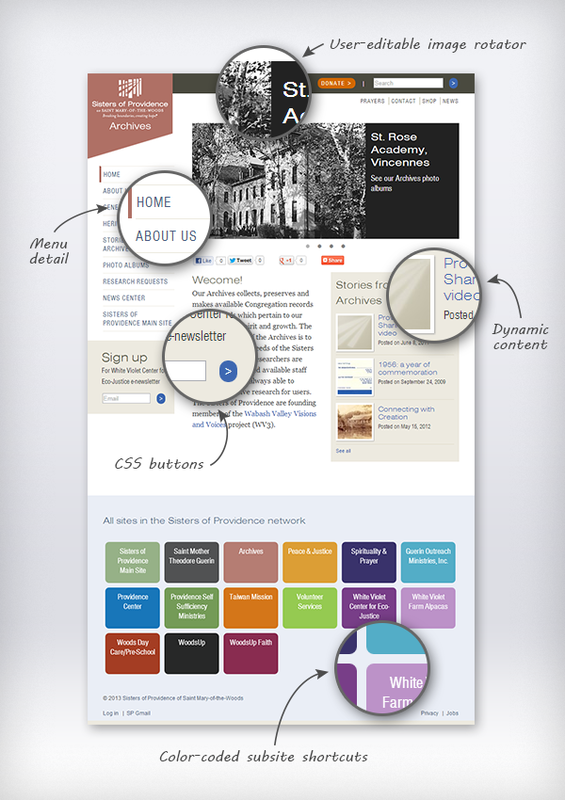 The final site (which is divided into “sub-sites” by custom theme options and taxonomies) is responsive and clean.